If you are new to digital scrapbooking, or you just prefer a quick and easy way to get things done, then quick pages are for you! 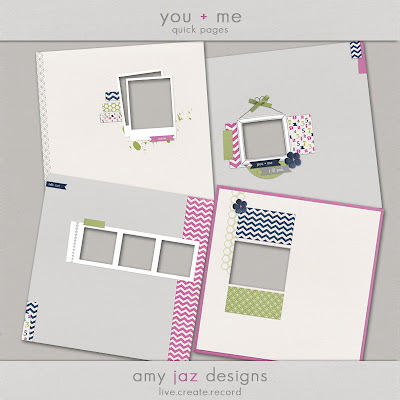 These pages are pre-designed using the Amy Jaz Designs You + Me kit and all you have to do is drag and drop your photos behind the quick page, and your journaling and presto- your layout is done. Pick up these quickpages now for only $1.99 for the set of four. Hoppy 5th Birthday to TLP! Creative Team- Hybrid Crafters Announced!